computers-and-nothing-else: What Is a Port Number (Logical Port)? 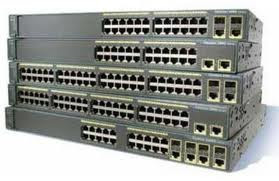 When considering computer networks, there are two kinds of port that we deal with - Physical Ports and Logical Ports. Physical network ports allow connecting cables to computers, routers, modems and other peripheral devices. 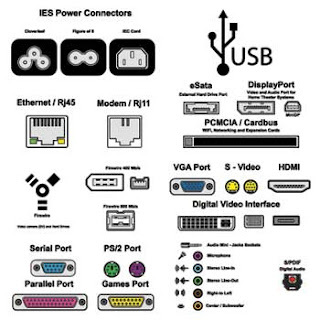 Several different types of physical ports available on computer network hardware. A physical port, as opposed to a virtual or logical port is an interface on a computer into which you can insert a connector for a device. Examples of Physical Port : RJ45 port (Ethernet/LAN/NIC Port), Serial Port (RS-232), USB Port. Note that it is the combination of IP address and port number together that must be globally unique. Thus, different IP addresses or protocols may use the same port number for communication; e.g., on a given host or interface UDP and TCP may use the same port number, or on a host with two interfaces, both addresses may be associated with a port having the same number. In computer networking, a port number is part of the addressing information used to identify the senders and receivers of messages. Port numbers are most commonly used with TCP/IP connections. Home network routers and computer software work with ports and sometimes allow you to configure port number settings. These port numbers allow different applications on the same computer to share network resources simultaneously. In both TCP and UDP, port numbers start at 0 and go up to 65535. Numbers in the lower ranges are dedicated to common Internet protocols (like 21 for FTP and 80 for HTTP). network administrators may need to set up port forwarding to allow the port numbers of specific applications to pass through a firewall. On home networks, broadband routers support port forwarding on their configuration screens. network programmers sometimes need to specify port numbers in their code, such as in socket programming. sometimes, a Web site URL will require a specific TCP port number be included. For example, http://localhost:8080/ uses TCP port 8080. Again, this is more usually seen in software development environments than on the Internet. In TCP/IP and UDP networks, a port is an endpoint to a logical connection and the way a client program specifies a specific server program on a computer in a network. Some ports have numbers that are pre-assigned to them by the IANA, and these are called the "well-known ports" which are specified in RFC 1700. Port numbers range from 0 to 65536, but only ports numbers 0 to 1024 are reserved for privileged services and designated as well-known ports. This list of well-known port numbers specifies the port used by the server process as its contact port. For further information, see RFC 1700.